The day did start with clouds on the sky, but the sun was coming out soon. 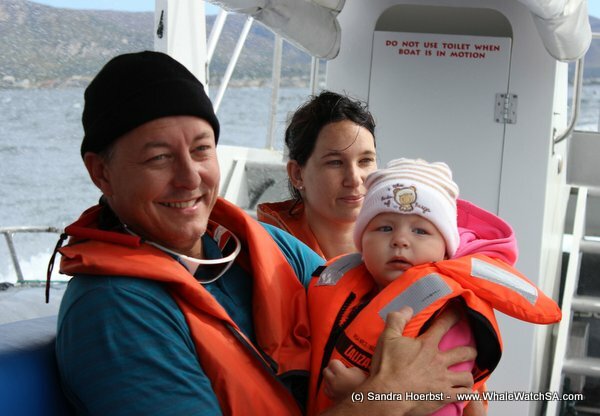 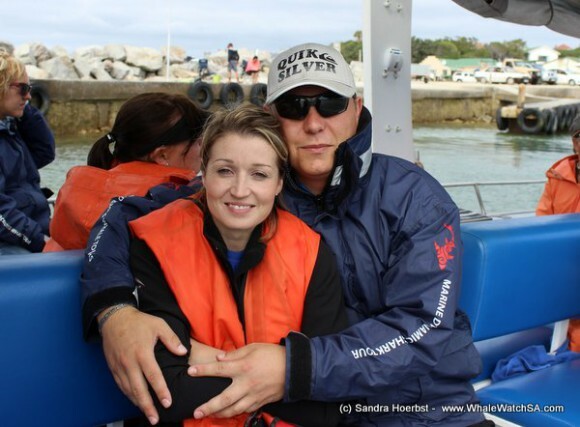 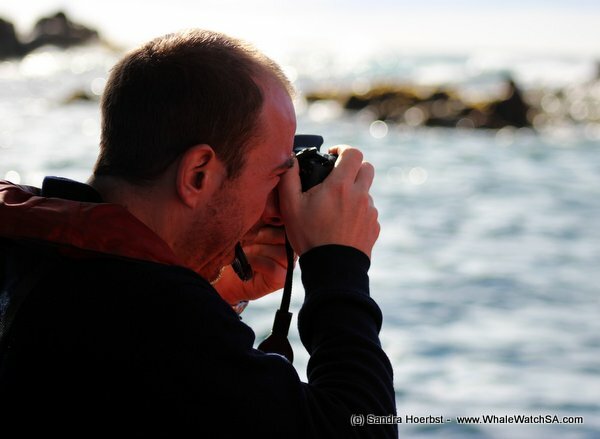 After launching the harbour we headed towards Dyer island and Geyser Rock to have a look at the Cape Fur seals and at the penguins. 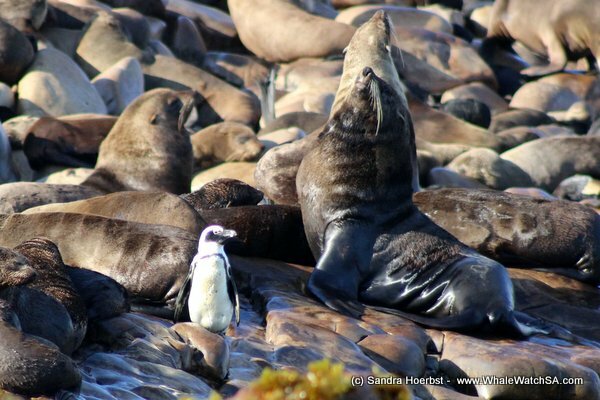 While busy observing the seals laying on Geyser Rock, we spotted a little African penguin relaxing in between all the seals. 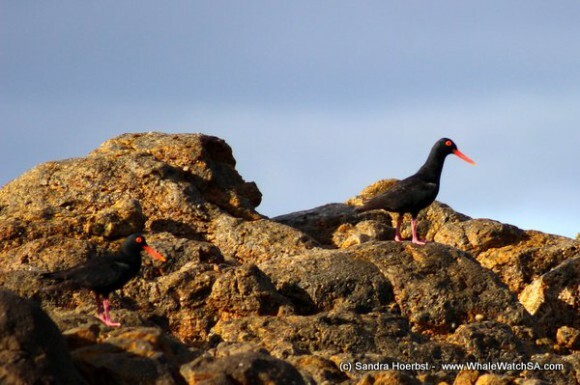 We also saw some Oyster catcher with their beautiful orange beak. 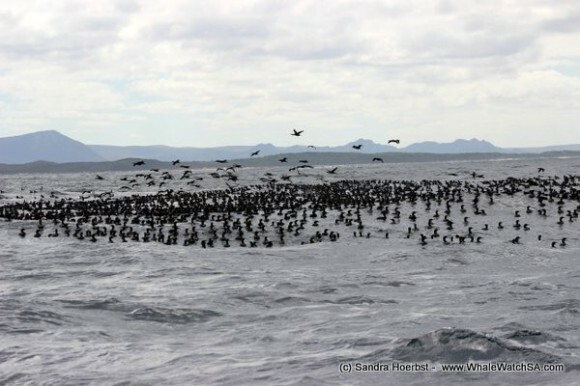 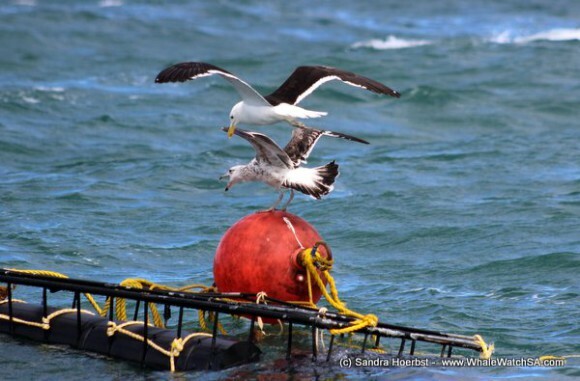 On our second trip we found a huge bird raft with Cape cormorants just outside the Kleinbaai harbour. 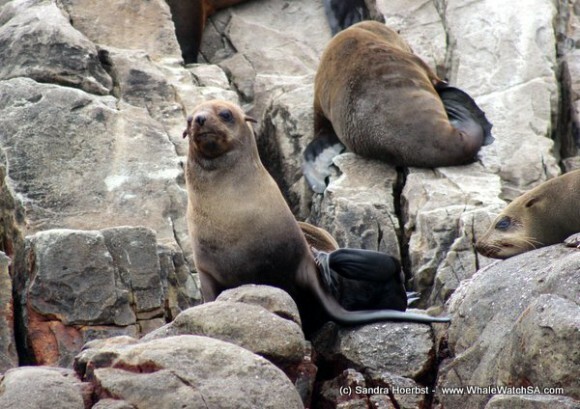 ok at the Cape Fur seals and at the penguins. 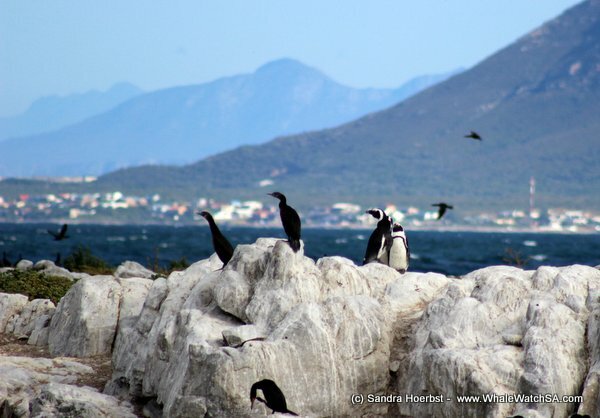 While busy observing the seals laying on Geyser Rock, we spotted a little African penguin relaxing in between all the seals. We also saw some Oyster catcher with their beautiful orange peak. On our second trip we found a huge bird raft with Cape cormorants just outside the Kleinbaai harbour.